My familiarity with the creatures underwater is not that extensive and the fact that most of the known getaways here in the Philippines are beaches made me more frustrated that I do not know how to swim. A day peek at the northern part of Leyte with the Bisaya and Warays. Absconded to discover the nature the city has to offer given the fact that there are no scheduled field visits this time. 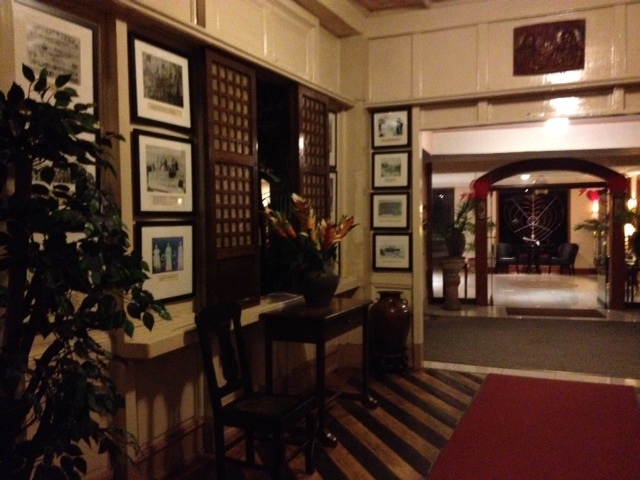 2 weeks fieldwork and stay at Hotel Alejandro (which I believe my room to be worth P1,600k+ per night). Best hotel so far the fact that it narrates the nation’s history along its corridors; I would definitely recommend this to travellers out there. Going back, damo nga salamat (thank you) to Ate My and Sir Ayan for letting me experience the wonders (Sto. Nino Shrine/ MacArthur’s Park/ San Juanico Bridge). The feeling of not being able to comprehend their dialect is a challenge but at least after my 2-weeks stay, I learned several Waray words from them. 13 guest rooms ornamented with different native materials are the highlights inside this mansion. You’ll appreciate how one can preserve such memories while retaining the quality of all the fittings displayed. Perfect place for photo op but just be nimble as the tour guide is kind of strict. ‘I have returned’. – opening statement of MacArthur’s proclamation to the People of the Philippines. MacArthur Landing Memorial was built to commemorate the historic return of Gen. Douglas MacArthur to Philippine shores on October 20, 1944. You have to ride a jeepney from the city proper going to Palo, Leyte. Then take a tricycle (P10.00 per head) to the shrine itself. We ended the day by walking the length of San Juanico Bridge, which is considered the Philippines’ longest bridge spanning a body of seawater. Its longest length is a steel girder viaduct built on reinforced concrete piers, and its main span is of an arch-shaped truss design (c/o wikepedia). If you are into long walks and trekking, then this will not be a problem for you. 30-minutes will do but if you will bring your camera with you, I bet that you’ll take longer than that.